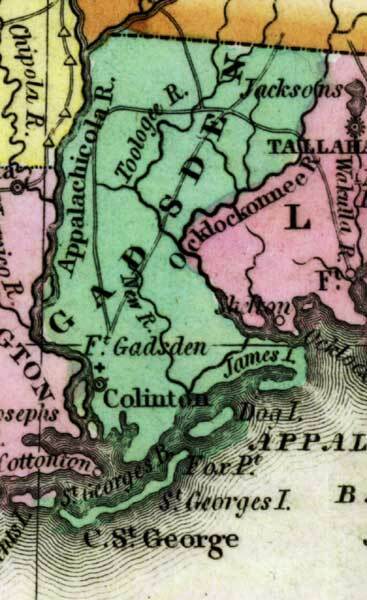 Description: This detail of a 1827 map shows major rivers, lakes, coastal features, settlements, and roads in Gadsden County. The county is bordered by the Appalachicola and Ocklockonnee Rivers. Several islands border the county, which are shown on the map. Colinton is also shown. Sections of proposed shipping canals are also shown.